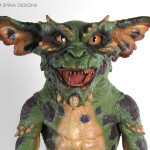 Our restoration of an original, screen used Gremlins prop puppet from Gremlins 2, the New Batch. 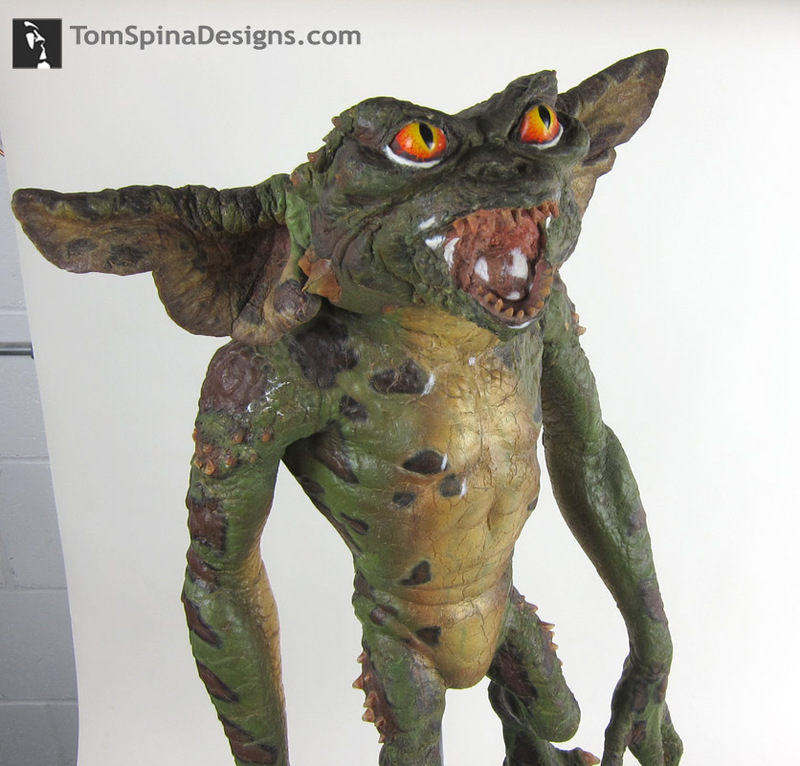 When this wonderful green Gremlins prop puppet arrived in our New York studio his condition presented a number of challengers. Not the least of which, was that the thin foam of the neck had torn nearly completely away. 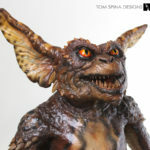 That’s something fairly common with these aging Gremlins movie props, as the foam latex material used gets fragile over time, and the weight of the bodies can put stress on the neck. Once the neck of the Gremlin puppet was repaired and internally reinforced, our next challenge was to patch the cracks and rebuild small areas missing skin around the neck and lower jaw. We went on to look closely at the whole movie prop puppet and found the proper degree of conservation for his arms and body. 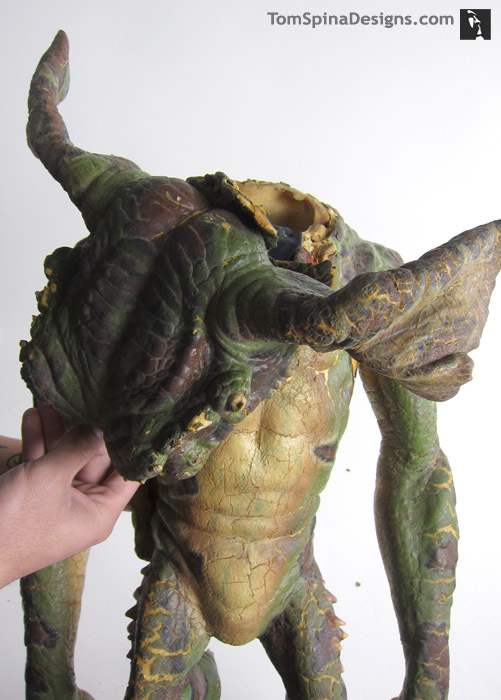 After patching was complete, and all of the repairs blended to match the style of sculpture used to create the prop during the movie’s production, we very carefully added color to those repairs. As always, we “in paint” our work as a museum conservator would, making sure to only add paint over the patch and not cover any original paint present on the foam. 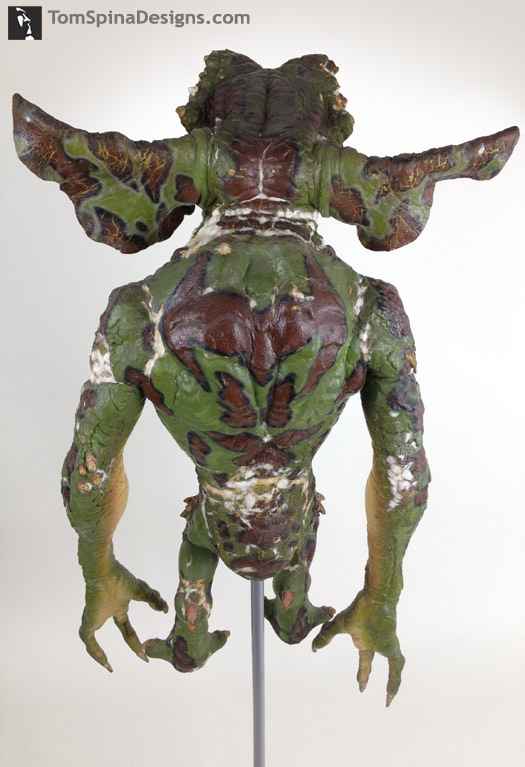 It’s delicate work and we have to match not just the color and paint style, but the age of the screen used prop. 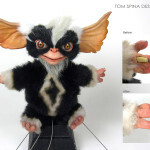 We strive to keep the piece looking as original as we possibly can and not like replicas you might find for sale. The most important element of our work was also related to preservation. 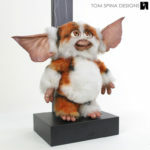 We made sure that the fragile neck would not have to support the entire puppet’s weight over time, to help avoid further damage to the delicate foam latex. We added internal supports and fabric patches to reinforce the larger repairs, but most importantly, we created an archival body insert. This insert fills out the green body of the Gremlin puppet, and helps his body keep its shape over time as well as take any pressure off of the puppet’s neck. 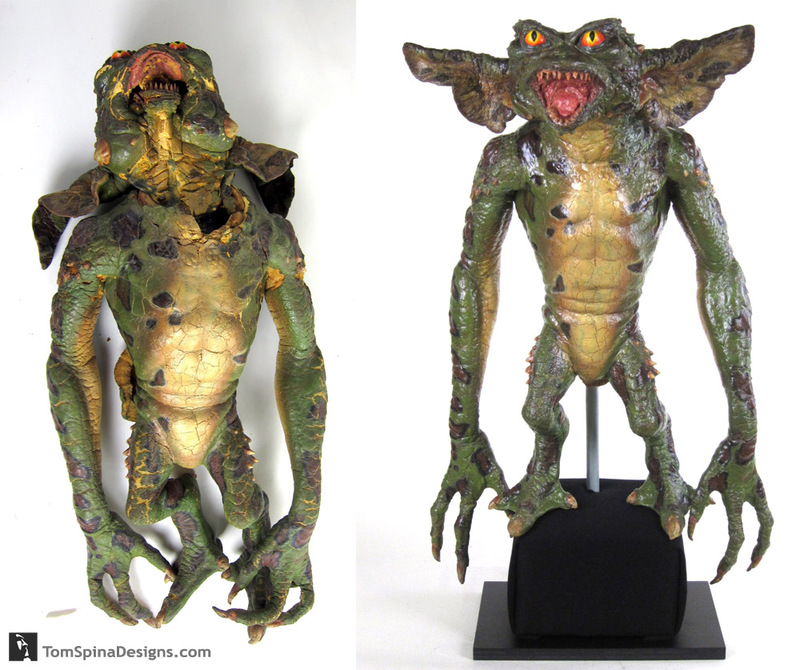 After a layer of sealer freshened his skin (and helped slow the hands of time a bit), this Gremlin was quite improved, yet still retained that original prop look! It’s a drastic restoration but one that made our client quite happy!